A really entertaining story. Thoroughly enjoyed it. A very romantic yet comical story, beautifully written with lots of interesting weaving of story telling. Most compelling read, I have read the book twice now. A real treasure! 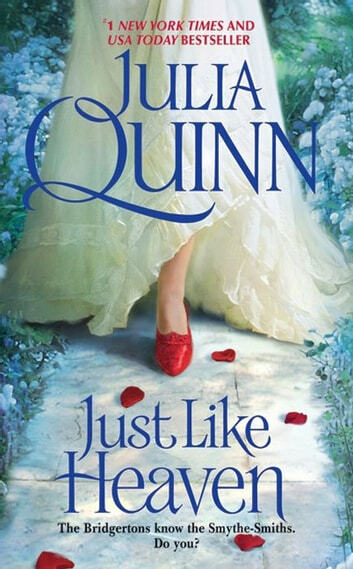 Just Like Heaven by Julia Quinn (Audio Edition) Narrated by Rosalyn Landor Series: Smythe-Smith Quartet #1 4 Stars - I always enjoy Julia Quinn’s writing, she's witty, romantic and sweet. Marcus was a lovely hero, he cared deeply for Honoria. Honoria, was a strong woman who would go above and beyond for her family and people she cares about. I really enjoyed all the Smythe-Smith girls. This was a sweet romance with some fun secondary characters. Lady Danbury is always a favourite! This was a re-read for me, though I chose the audio version this time and I enjoyed it just as much as I did the first. Rosalyn Landor is wonderful!